After Deadpool Gurihiru Art Version releasing, the next would be Evil Gwenpool. Before the Evil Gwenpool, there was the Gwenpool that was release in this same series. 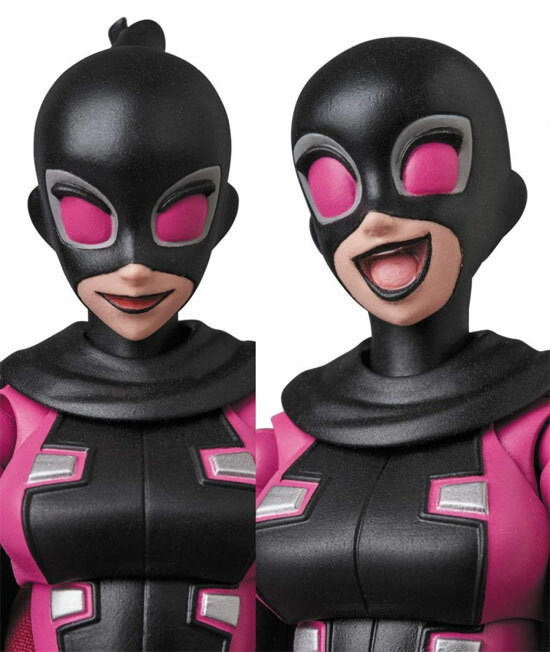 The figures comes with 2 different expression of Evil Gwenpool. The Evil Gwenpool stands about 6″ tall. 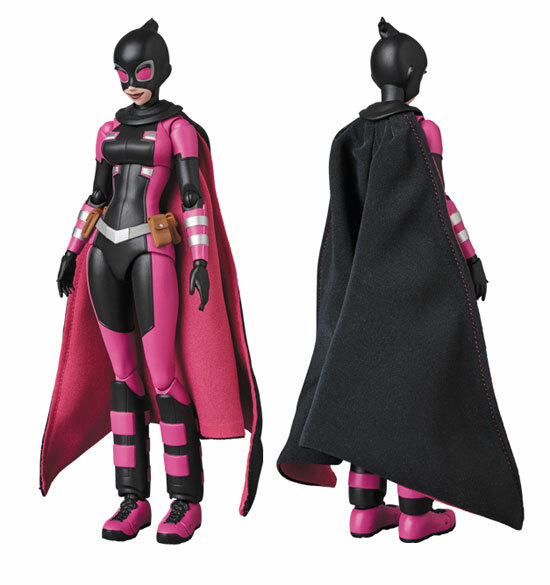 She come with two swords a wired cape and an articulated figure stand. 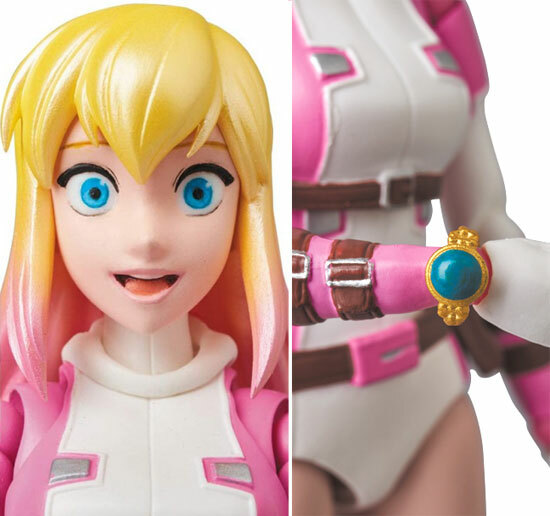 The figure will also come with an additional head sculpt and watch are included for the standard Gwenpool MAFEX. Evil Gwenpool will come with comic books and a mini Gwenpool for her to hold it up. 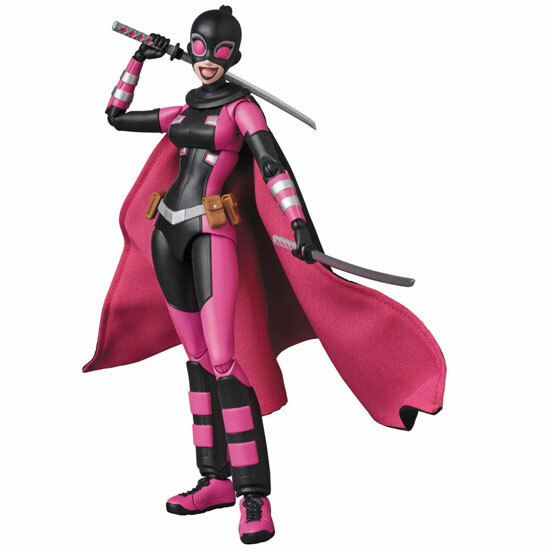 Evil Gwenpool is set to be released in June 2019 at 7,800 YEN.